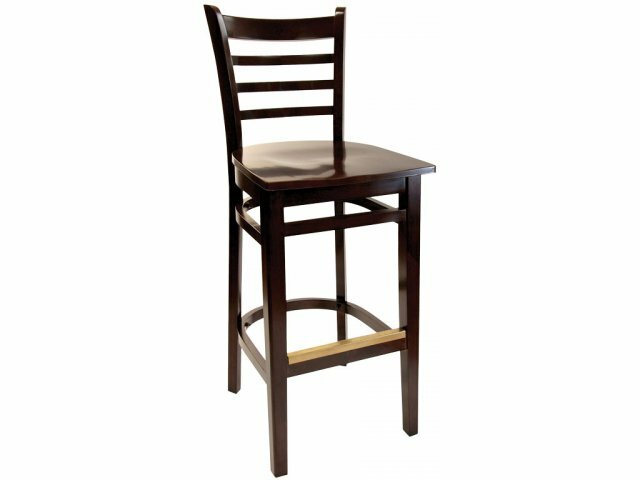 Add elegance and height to office and campus dining with these wood bar stools from Barsky-Fleming. 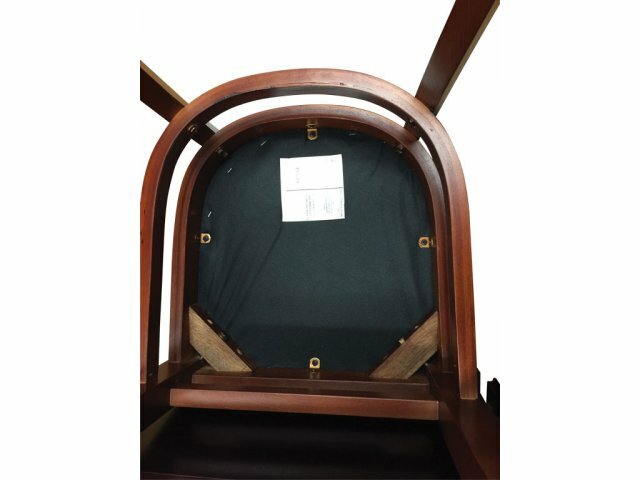 Beautiful design and solid construction make them ideal for everything from self-serve restaurants to commercial dining areas. Made of solid European beech wood, these bar stools feature mortise-and-tenon joinery for long-term durability. Ladder-style back and flared back legs add grace and style, and the brass toekick protects the footrail while providing a touch of shine. Plastic glides protect flooring from scratches and marks. 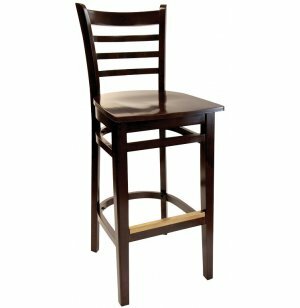 Available in a variety of stains and finishes, these bar stools bring a new level of style to any food-service establishment. 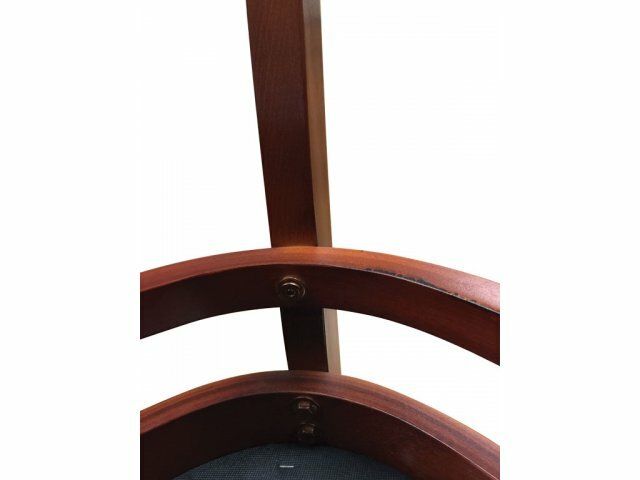 Solid Construction: Mortise-and-tenon joinery makes these bar stools extra strong and highly durable. Classic Look: Elegant yet understated design gives a classic look. 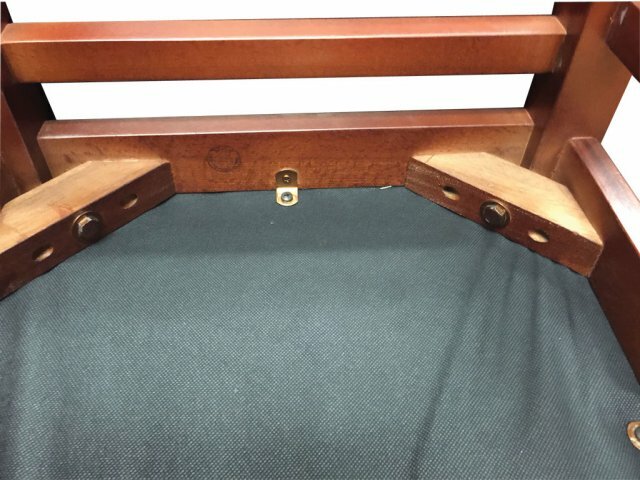 Sturdy Connections: Corner blocks have lag bolts in the center and are also screwed on each side.